The Tristan da Cunha islands are part of the British Overseas Territory of Saint Helena, Ascension and Tristan da Cunha. The archipelago was discovered in 1506 by Portuguese explorer Tristão da Cunha, who named the main island after himself. The French made the first survey of the islands in 1767. The first permanent settlement on Tristan da Cunha was founded by Jonathan Lambert from the United States. In 1811, he declared the archipelago his property and named it the Islands of Refreshment. However, Lambert's rule did not last long, as he drowned in a fishing accident in 1812. On August 14, 1816, a British garrison aboard HMS Falmouth formally proclaimed the annexation of the islands on behalf of King George III. The primary goal of the annexation was to prevent the French from using Tristan da Cunha to save Napoleon from his prison on the neighboring island of Saint Helena. 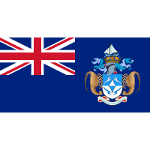 Tristan da Cunha has been a British possession ever since. August 14 was declared a public holiday known as Anniversary Day. The celebrations are typically low-key.